Prikliouchenia Kitaïtchat (The Adventures of the little Chinese, 1928, directed by Maria Benderskaya, Flash Video 17:28). "...Within the initiatory journey of two children lies a fine lesson in geopolitics done Soviet style. Apart from this political demonstration, the patched-up puppets stroll through the décor with incomparable poetry. The charm never fades. This masterpiece is a treasure trove of creative invention carried by an attention to detail and a quest for perfection." From Europa Film Treasures. 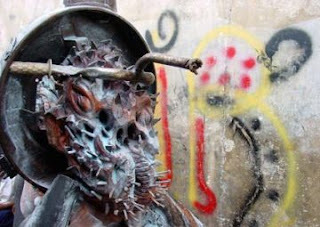 Celeur Jean Hérald, André Eugène & Guyodo – The Sculptors of Grand Rue, Haiti. "...Grand Rue is the main avenue that runs a north-south swathe through downtown Port au Prince from Bel Air and La Saline to La Cimetière and Carrefour. At the southern end of Grand Rue, amongst the labyrinthine warren of back streets that line the avenue, is an area that traditionally has produced small handicrafts for the ever-diminishing tourism market. This close-knit community is hemmed in on all sides by the makeshift car repair district, which serves as both graveyard and salvation for the cities increasingly decrepit automobiles. The artists Celeur, Eugène and Guyodo all grew up in this atmosphere of junkyard make-do, survivalist recycling and artistic endeavour. Their powerful sculptural collages of engine manifolds, TV sets, wheel hubcaps and discarded lumber have transformed the detritus of a failing economy into bold, radical and warped sculptures. Their work references their shared African & Haitian cultural heritage, a dystopian sci-fi view of the future and the positive transformative act of assemblage." Skeeter Davis... Heartbeat (.mp3 audio 02:12) and... Well.... All Right (.mp3 audio 02:22). From the album Skeeter Davis Sings Buddy Holly (1967, RCA Victor LSP-3790, Produced by Felton Jarvis). Chargesheimer... Zur Frühschicht (Im Ruhrgebiet) (ca. 1955, vintage silver print). From the exhibition Chargesheimer 'Chargesheimer' at Galerie Priska Pasquer in Cologne. "...Chargesheimer (Karl Heinz Hargesheimer, 1924-1971) belongs among the most outstanding artists of his generation - as photographer, sculptor, stage designer and director. The press called Chargesheimer a 'restlessly proliferative creative spirit' and an artist 'who loves to provoke.' Chargesheimer began his career in 1947 as an independent photographer for various theaters in Germany. Towards the end of the 1940s he was in contact with the photographic group 'fotoform.' 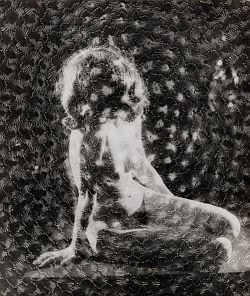 In 1950 he participated in the 'photo-kino' exhibition in Cologne and also in the legendary exhibitions of 'Subjective Photography' in 1952 and 1954. Fred Kirby and the Atomic Train Band... Atomic Power (.mp3 audio 03:09). The original - penned days after the bombing of Hiroshima and Nagasaki. Not as popular as The Buchanan Brothers' cut of the same tune. Pentti Sammallahti: Selected Photographs at Nailya Alexander Gallery in New York. "...Pentti Sammallahti was born in 1950 in Helsinki, Finland. His career in photography began in his youth, and from the age 21 he exhibited both abroad and in Finland. Sammallahti taught at the University of Art and Design in Helsinki for 17 years, retiring when he received a 20-year grant (1991 - 2011) from the Finnish government, an unusually long endowment which is no longer awarded. Sammallahti was honored to be included among the 100 favorite photographs in the personal collection of Henri Cartier-Bresson, which was the inagural exhibition for the Fondation Henri Cartier-Bresson in 2003. His work has been exhibited world wide, and he was given an extensive solo exhibition at both Houston FotoFest in 1998 and in 2005 at the International Festival in Arles, France. As a teacher he has had an enormous influence on a whole generation of documentary photographers in Finland." More Works by Pentti Sammallahti at PhotoEye Gallery. Lori Nix: Small Dangers (31 color photographs) at Zone Zero. "...Lori Nix’s photographs, saturated with color and infused with a dark sense of humor, turn the notion of the traditional landscape on it head. Painstakingly created in miniature, her constructed scenes depict a detailed world where all is not as it seems. Public spaces dedicated to history and science (and a few intimate spaces) lie deteriorating and neglected while nature slowly takes them back. In her series, 'The City' as well as her previous works, Nix emotes the clash between catastrophe and beauty to depict their co-dependence. She gives the viewer an incidental advantage by offering fenced in tragedies that inherently raise awareness and inspire reflection on our everyday actions and means of survival." Brilliant! Number 9 - "Ice Storm" - just gets better with time. More at Lori Nix Photography. Kansas Joe and Memphis Minnie... 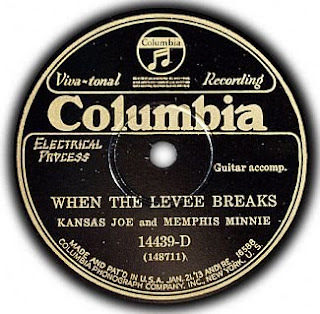 When The Levee Breaks (1929, Columbia 14439-D .mp3 audio 03:12). Weegee Speaks from the album Famous Photographers Tell How (1958) at Boogie Woogie Flu. "...I will walk many times with friends down the street and they'll say 'Hey, Weegee. Here's a drunk or two drunks laying on the gutter' I take one quick look at that and say 'They lack character.' So, even a drunk must be a masterpiece!" Via PCL LinkDump. Also... The Imp-Probable Mr. Wee Gee - the 1966 nudie comedy starring famed crime photographer Weegee. Stephanie Chernikowski: Images from the Blank Generation at Morrison Hotel Gallery. The Sadist (1963, directed by James Landis) starring Arch Hall Jr. "...This is believed to be the first feature film based on real life serial killers Charles Starkweather and Caril Fugate. Mainstream Hollywood would not produce films inspired by the pair until a decade after this one. A number of films were inspired by the duo (some very loosely) and included such major examples as Terrence Malick's Badlands and Oliver Stone's Natural Born Killers." Wanda Jackson... Tears At The Grand Ole Opry (1955, DECCA 9-29514 .mp3 audio 02:23). From WFMU's On The Download. The Tornados... 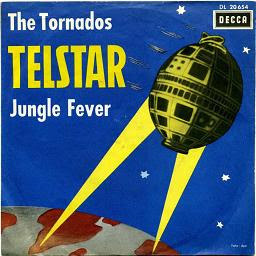 Jungle Fever (1962, DECCA F11494 .mp3 audio 02:14). Bucharest Below Ground by Poul Madsen (2008). "...A multimedia documentary about the life of homeless families and drug addicts who find refuge in abandonned sewage pipes in central Bucharest." More... Works by Poul Madsen at his personal site. Jan Svankmajer... Kostnice (The Ossuary) (1970, Krátký Film Praha, Flash Video 10:05). "...A non-narrative voyage round Sedlec Ossuary, which has been constructed from over 50,000 human skeletons (victims of the Black Death)." Photographs from Pol Pot's Secret Prison (1975-79) - The Tuol Sleng Museum of Genocide, in Phnom Penh, Cambodia. Also... The Conscience of Nhem En (2008, Farallon Films). "...The Conscience of Nhem En explores conscience and complicity in the story of a young soldier responsible for taking the ID photos of thousands of innocent people before they were tortured and killed by the Khmer Rouge." Judy Nylon & Crucial... Jailhouse Rock (.mp3 audio 03:48). From the album Pal Judy (1982, On-U Sound ON-U LP 16). Hot Tuna... Bank Robber (.mp3 audio 04:30). From the album Live At Sweetwater (1992, Relix). Via Cover Lay Down. Julie Blackmon... Baby Toss (2009). From New Work by Julie Blackmon. Well Known Stranger: Howard Finster's Workout - a film by Elizabeth Fine and Hazen Robert Walker (1987, 28 minutes, Color). "...Well Know Stranger: Howard Finster's Workout is a film about legendary folk artist Howard Finster of Summerville, northwest Georgia. At the age of 60, after forty years as a Baptist preacher and 'small motor repairman', Finster heeded the call to 'paint sacred art'. In a tour-de-force of self styled 'talking art', Finster describes the prophetic dreams, spiritual inspirations and visionary experiences that led him to become a painter. His work was selected in 1984 to represent the United States in the prestigious Venice Biennale." Meiko Kaji... Jeans Blues (.mp3 audio 03:35). From the film Jeans Blues: Asunaki Buraiha (1974, directed by Sadao Nakajima). Les Baxter & His Orchestra... Sabre Dance (.mp3 audio 02:40). From the album Les Baxter's Wild Guitars (1959, Capitol T1248). Patti Smith - Dream Of Life, a film by Steven Sebring. 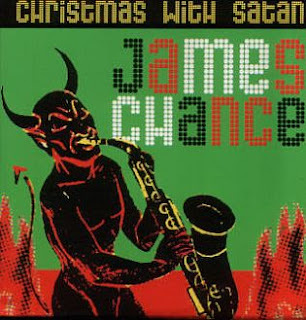 James Chance... Christmas With Satan (2002, Tiger Style TS-038 .mp3 audio 06:14). Christmas With Satan was originally released by James White on A Christmas Record (1981, ZE Records ILPS 7017). 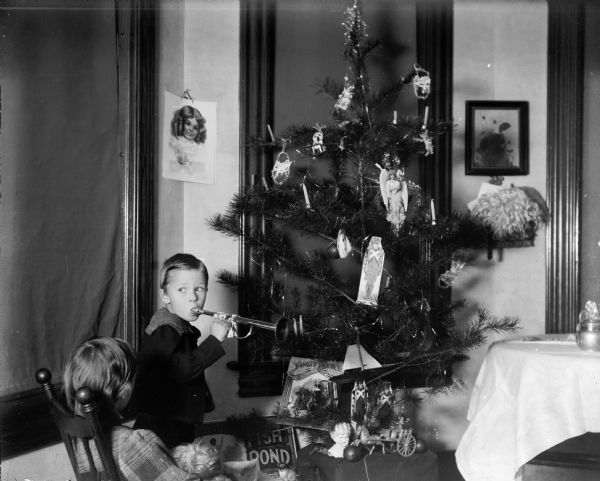 It was replaced by No More Christmas Blues by Alan Vega on the 1982 edition. Japan Exposures... Tomoyuki Sakaguchi – From Home. "...Tomoyuku Sakaguchi was born in Kagawa, Japan in 1969, and currently lives and works in Tokyo. In 1995 Sakaguchi received a Masters of Science from the University of Tokyo before eventually deciding to pursue photography. At the beginning of the decade Sakaguchi attended classes at the Nippon Photography Institute, as well as a workshop run by Masato Seto (Picnic, Binran). Sakaguchi has been exhibiting his work in since 2000, and in 2007 he was a runner-up for the Aperture Portfolio Award. Sakaguchi’s first book Home, from which this photo is taken, was published in 2007 by Sokyu-sha, and garnered him the annual award from the Society of Photography (Japan) in 2008." More... Works by Tomoyuku Sakaguchi at his personal site. I like Mado (Window). Ralph Thanhauser... Godard in America (1970) at UbuWeb Film & Video. "...After Godard had finished several films with the Dziga Vertov Group, he and Jean-Pierre Gorin traveled to the US to raise funds for their next project, Till Victory (1970), a film on the Palestinian struggle that was never finished. Godard in America captures Godard and Gorin argueing the finer points of revolutionary struggle as they visit several American universities. Scenes of Godard describing the Palestinian project to students while he rapidly flips through a storyboard filled with his characteristic drawings, capture the American university in the throes of its first love affair with radical Marxism. During a lighter moment, Jean-Luc states that he escaped his bourgeoise family background by going into the movie business only to discover that the movie business is the biggest bourgeoise family in the world. Featuring Andrew Sarris, Molly Haskell and others." David Isaacs... Place In The Sun (1968, Upsetter/Trojan TR616A .mp3 audio 02:51). Also... David Isaacs... Just Enough To Keep Me Hanging On (.mp3 audio 03:05). From The Upsetter Box Set (1985, Trojan PERRY 1). RIP: David Isaacs. Monkeys' Moon & Pool Films. "...Pool Films resulted from the creative collaboration of writers Kenneth Macpherson and Bryher (Annie Winifred Ellerman) and Imagist poet H. D. (Hilda Doolittle). Funded by Bryher’s inheritance from a vast family fortune, their projects were fueled by the principals’ interest in film and artistic experimentation. The three were invested in developing a context in which the young medium of film might be viewed as a fine art as well as interact with other verbal and visual art forms. The Pool Films productions, which were directed by Macpherson and often featured H. D. and Bryher as actors, experimented with narrative forms and explored the use of dramatic lighting and effects such as montage to represent emotional and psychological states. Pool Films made several short films—Monkeys' Moon, Foot Hills and Wing Beat—using montage, double or triple exposure, and other experimental techniques to represent interior experiences and impressions. Monkeys' Moon, a silent film featuring two of Macpherson's and Bryher’s pet monkeys, was thought to be lost until the Beinecke Library acquired a copy in 2008. Some eighty years later, this six minute film has been fully restored and digitized." Lord Jellicoe & His Calypso Monarchs... Zombie Jamboree (Back to Back) (1955, .mp3 audio 03:51). Le Dernier Cri: Vomir Des Yeux at Cinders Gallery. "...Le Dernier Cri (The Last Cry), hail from Marseilles, France, where for the past 16 years they have been producing legendary volumes of painstakingly handmade, beautiful, vibrant and violent monograph prints, books, and videos featuring some of the most irreverent underground artists in the world. Operating out of an abandoned maternity hospital, French artists Pakito Bolino and Caroline Sury have created a truly inspirational self-publishing monster with an extremely prolific output of hundreds of books and posters, all hand silk-screened in small print runs of around 150, all under the radar of both the book and art worlds." Works by Tim Gardner at 303 Gallery in New York. "...In his new body of work, Gardner tackles how the innate tension between man and nature has shifted according to time. As man continues to exist amidst a constantly shifting landscape, Gardner’s watercolors imply a quiet resignation to the impossibility of a harmonious existence between man and his current surroundings. In many of the paintings, central figures are poised amidst human interventions into the landscape – barriers, fences, walls and paved areas." Kill Pixie. Works by Mark Whalen. 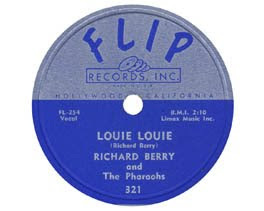 Richard Berry & The Pharaohs Louie, Louie (1957, Flip 321 .mp3 audio 02:07). Masao Adachi & Koji Wakamatsu Sekigun-PFLP: Sekai Senso Sengen (The Red Army/PFLP: Declaration of World War) - 1971, 70 min., Co-edited by Red Army (Red Army Faction of Japan Revolutionary Communist League) and PFLP (Popular Front for the Liberation of Palestine) at UbuWeb Film & Video. "...In 1971, Koji Wakamatsu and Masao Adachi, both having ties to the Japanese Red Army, stopped in Palestine on their way home from the Cannes festival. There they caught up with notorious JRA ex-pats Fusako Shigenobu and Mieko Toyama in training camps to create a newsreel-style agit-prop film based off of the "landscape theory" (fûkeiron) that Adachi and Wakamatsu had developed. The theory, most evident at work in A.K.A. Serial Killer (1969), aimed to move the emphasis of film from situations to landscapes as expression of political and economical power relations." Reece Shipley & His Rainbow Valley Boys... Hillbilly Jive With A Boogie Beat (1952, Kingsport 106 .mp3 audio 02:15). Nicholas Hughes: Field (2007-2009) at Nailya Alexander Gallery. "...Having sought previously to create a primordial forest in central London, it seemed an appropriate next step to remove myself to a more remote location in order to further examine the human relationship with nature. At the outset of a two-year period spent in the far southwest of England I determined to restrict my attention to only that which lay within my immediate vicinity and was accessible by foot. In line with previous attempts to work within a defined space I made a field bordering my home the arena of my activities. Submerging myself within this space satisfied my desire to restrict my impact on the Earth, for in place of travel to new and exotic destinations I sought the new and exotic at home." More... Works by Nicholas Hughes at his personal site. Jeff Mermelstein: Sidewalk (1987-Present). From Works by Jeff Mermelstein at Rick Wester Fine Art in New York, NY. Gugler Lithographic World War II Mobilization Posters at the WHS. "...During World War II the U.S. government organized the largest home-front propaganda campaign implemented up to that time. Its goals were to boost morale and sell war bonds. Milwaukee's Gugler Lithographic Company worked alongside Bugs Bunny, Judy Garland and Norman Rockwell to help mobilize public support for the American war effort. Beginning in 1942, Gugler worked for the federal War Advertising Council to encourage voluntary compliance with rationing and service programs, inspire patriotism, promote home-front morale and sell war bonds." Artavazd Peleshian: The Complete Films (1966-1994) at Ubuweb Film & Video. "...Artavazd Ashoti Peleshyan (born November 22, 1938, Leninakan) is an Armenian director of film-essays, a documentarian in the history of film art and a film theorist. However his work unlike Maya Deren's is not avant-garde nor tries to explore the absurd, is not really art for the art's sake like Stan Brakhage's but should be rather acknowledged as a poetic view on life embedded on film. In the words of the filmmaker Sergei Parajanov, his is "one of the few authentic geniuses in the world of cinema". Renowned Master of the Armenian SSR arts title (1979). He is renowned for developing a style of cinematographic perspective known as distance montage, combining perception of depth with oncoming entities, such as running packs of antelope or hordes of humans. Characteristic to him is also the use of archive footage alongside with his own shots and, especially, fast intercutting between these two. Telephoto lens are often used to get 'candid camera' shots of people engaging in mundane tasks." 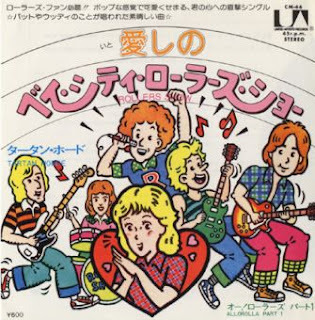 The Tartan Horde... Rollers Show (1977, United Artists CM-66 .mp3 audio 03:36). Nazi Invasion of Poland in 1939 - Images and Documents from the Harrison Forman Collection at the UWM Digital Collections. "...This digital collection presents over 90 photographs taken by Harrison Forman at the outbreak of World War II in Poland. The photographic collection is supplemented by a selection of newspaper clippings and an article 'Filming the Blitzkrieg,' published by Forman in Travel magazine in December 1939. The photographs, documenting the Nazi invasion of Poland in September of 1939, were recently discovered in the American Geographical Society Library at the UWM Libraries. The images are part of the extensive Harrison Forman Collection that was donated to the American Geographical Society Library in 1987. Harrison Forman (1904-1978), a Wisconsin native, was an adventurous journalist, photographer, and explorer. He worked as a foreign correspondent for the New York Times, London Times and NBC, and undertook several expeditions to northern Tibet and China in the 1930s. UWM Libraries created several digital collections featuring his images of Afghanistan, Tibet, and China." 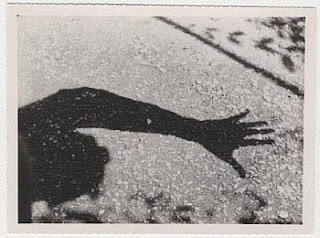 Ray K. Metzker: AutoMagic at Laurence Miller Gallery in New York, NY. "...This exhibition features over fifty black-and-white photographs taken by this 78-year old master photographer over the past fifty years in which the automobile plays a pivotal role in the contest between light and shadow. Forty of the photographs have never been exhibited before. From his earliest street pictures taken under the El in Chicago’s Loop in the mid-Fifties, to his most recent highly abstract views of reflections on Philadelphia car windows, Ray K. Metzker brings an exuberance of vision rarely found among today’s photographers. In total control of his camera and craft, Metzker transforms the mundane in daily urban life into intense images that sizzle, and delight the eye." Doug DuBois: All the Days and Nights at Higher Pictures. "...Doug DuBois takes us into his own familyʼs home to ponder the alienation and intimacy that prevails through a series of powerful portraits of his parents, siblings, nephew, as well as still-lifes and interior scenes. The occasional photograph taken outside the family domain heightens the sense of enclosure and of something inexorable. DuBois is the sincere but unseen seer, and it is of course his absence/presence that puts (perhaps at some personal risk) the private realm and the bonds of affection under such intense scrutiny." More... Works by Doug DuBois at his personal site. Nurri Kim: Tokyo Blues. "...This series is an exploration of the many different contexts in which a single object, the standard blue plastic tarp, is used in Japan. Tokyo Blues shows us a wide variety of such usages, from sheltering homeless people and neatly wrapping entire construction sites to creating picnic scenes under the cherry blossoms. Tokyo Blues pays particular attention to how people intuitively adapt to a given situation, marking and protecting their boundary under circumstances not of their choosing." From Nurri Kim. Dragstrip... Swimsuit Issue (.mp3 audio 02:28). From the album Reaction Time (1996, Shredder SH-38). Works by Ferenc Berkó at Gitterman Gallery in New York, NY. "...Ferenc Berkó (1916-2000) is part of long tradition of Hungarian émigré photographers, which includes Brassaï, Robert Capa, André Kertész, László Moholy-Nagy and Martin Munkásci. Influenced by some of the great Bauhaus teachers at a young age, Berko explored numerous genres and various styles. Within every period of his career, his work was concurrent with the artistic developments of the time. This is the first exhibition from Berko’s estate and is a partial survey of his black and white work from the 1930s through the early 1950s. Subsequent shows will highlight his innovations in color and his deep interest in nature." Foundation Tichý Oceàn. "...After studying at the Academy of Arts in Prague, Miroslav Tichý (born 1926) withdrew to a life in isolation in his hometown of Kyjov, Moravia, Czech Republic In the late 1950s he quit painting and became a distinctive Diogenes-like figure. From the end of the 1960s he began to take photographs mainly of local women, in part with cameras he made by hand. He later mounted them on hand-made frames, added finishing touches in pencil, and thus moved them from photography in the direction of drawing. The result is works of strikingly unusual formal qualities, which disregard the rules of conventional photography. They constitute a large oeuvre of poetic, dreamlike views of feminine beauty in a small town under the Czechoslovak Communist régime." Wilson Bentley: Snow Crystals - Vintage Photomicrographs at Carl Hammer Gallery in Chicago, IL. "...Every snowflake has an infinite beauty which is enhanced by knowledge that the investigator will, in all probability, never find another exactly like it." - W. A. Bentley, Popular Mechanics Magazine, 1922. Michael Kenna - Rétrospective at the Bibliothèque nationale de France. Ikko Narahara - Photographs from the 1950s to the 1970s at Galerie Priska Pasquer in Cologne, Germany. "...Ikko Narahara, born in 1931 in the Fukuoka Prefecture, was a self-taught photographer and as such took part in the groundbreaking photography exhibition 'The Eyes of Ten' in Tokyo in 1957. Two years later he became one of the co-founders of the legendary photo agency VIVO (in collaboration with Shomei Tomatsu, Eikoh Hosoe, Kikuji Kawada, and others), which was to be the epicenter for a new generation of Japanese photographers. In his early work Narahara focused on people who were living in isolation from the everyday world, such as monks in a Trappist monastery or the inmates of a women’s prison. His work aimed at creating a 'personal document', he aspired to 'a process of laying bare the inner form by thoroughly depicting the exterior' (Ikko Narahara). Walking a tightrope between description and abstraction, objectivity and a personal narrative, Narahara transcended the journalistic documentary photography then prevalent in Japan. Furthermore, Narahara displayed a particular facility for abstraction and the staging of everyday scenes in strict graphic compositions as in, for example, the series 'Tokyo, the ‘50s', which was only to be published in 1996."